In accordance with our Bylaws requiring 21 days notice of a Special Resolution and/or Annual General Meeting, we the board of directors serve notice of ‘2019 SHCA Annual General Meeting’ and ‘Special Resolution’ occurring on April. 25th, 2019 from 7-9pm at State and Main restaurant. 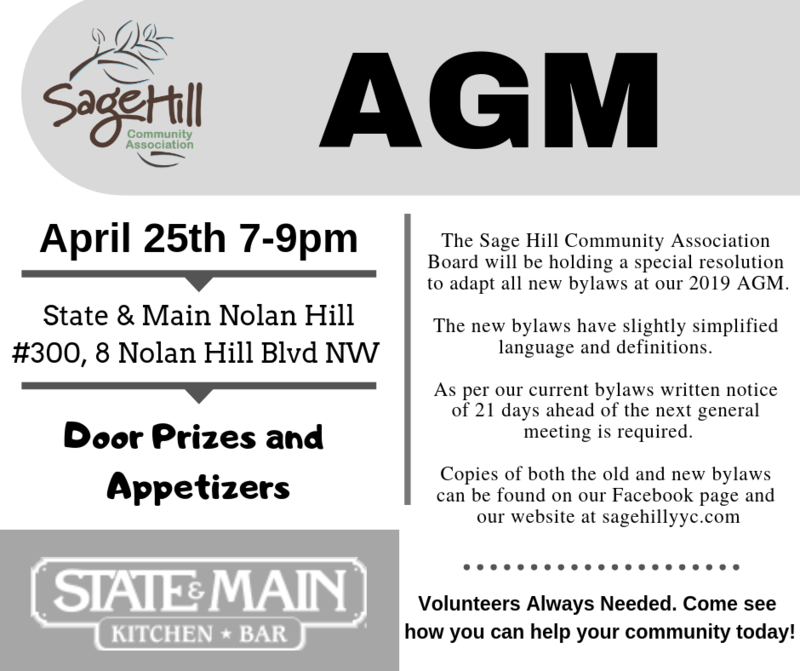 A Special Resolution to adapt all new Bylaws will be occurring, along with election of new directors to the Sage Hill Community Association and the Symons Valley Leisure and Amenities Society. Current and Purposed Bylaws are posted below. Annual Membership required to attend and can be purchased under membership, or in person.